vegalino is the new brand for vegan beverages. 100 % vegan – from ingredients to packaging. 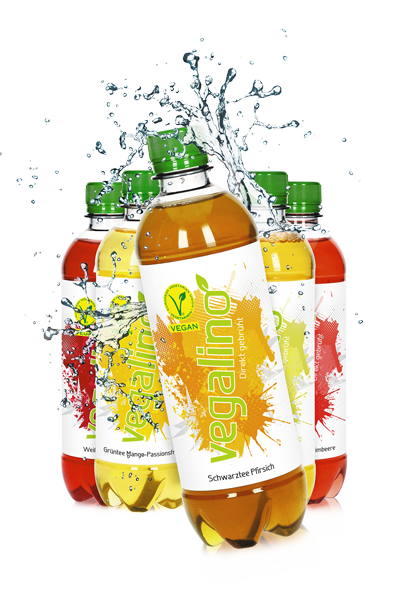 vegalino beverages are certified with V-Label from the Vegetarian Foundation Germany (VEBU). vegalino tea consists of freshly brewed tea with fruit and little sugar. vegalino energy drink is developed in cooperation with People for the Ethical Treatment of Animals (PETA) Germany, sister organization from PETA USA; the largest animal rights organization in the world, with more than 3 million members and supporters. vegalino energy drink consists of natural caffeine and is sweetened with grapes. Organic certified. vegalino beverages are produced on the most modern filling-lines in Germany. Labels contain vegan glue. The sealing mass of the crown corks is vegan. 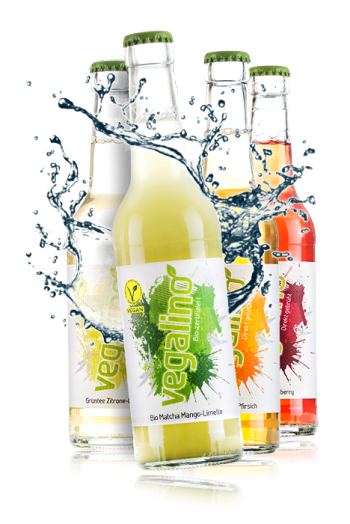 Discover the refreshing taste of vegalino beverages! 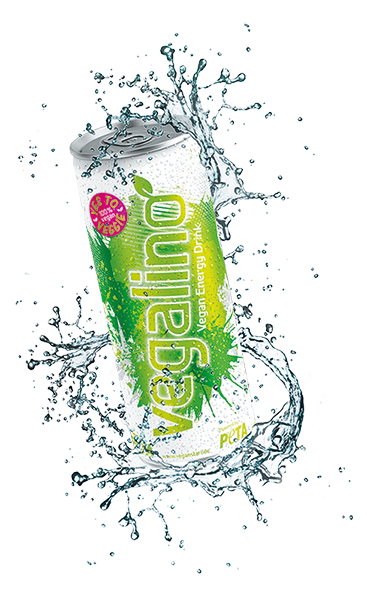 vegalino energy drink is the new vegan vitalizer in certified organic quality! The first organic-vegan energy drink in cooperation with People for the Ethical Treatment of Animals (PETA) Germany, sister organization from PETA USA; the largest animal rights organization in the world, with more than 3 million members and supporters. vegalino tea beverages are certified with V-Label by the Vegetarian Foundation Germany (VEBU). 100 % vegan – from ingredients to packaging. vegalion tea consists of freshly brewed tea with fruit and little sugar. vegalino beverages are produced on the most modern filling-lines in Germany. Labels contain vegan glue. The sealing mass of the crown corks is vegan. Made in Germany.